In a low-key press blast sent today, NVIDIA has announced that they are expanding the GeForce 10-Series of cards with another entry. Augmenting the current series of cards is a second GeForce GTX 1060, the GeForce GTX 1060 3GB, which despite the name is not actually equal to the original, 6GB GeForce GTX 1060. The new GTX 1060 3GB is available immediately from retailers starting at $199. Looking at the big picture, the new GTX 1060 3GB materially differs from the existing 6GB GTX 1060 in two different metrics. First and foremost of course is the memory; the card ships with half as much memory, which amounts to a 6x512MB configuration. However, somewhat frustratingly, NVIDIA didn’t just stop there and has also introduced a new GPU configuration for this card, meaning that we are now looking at multiple GPU configurations being sold at retail under the GTX 1060 banner. Whereas the original GTX 1060 6GB shipped with a fully enabled GP106 GPU, the GPU used in the GTX 1060 3GB ships with 1 of the 10 SMs disabled. This leaves 9 SMs enabled, leading to a CUDA core count of 1152, and 72 texture units. Other than this sole disabled SM, the GPU is otherwise untouched, and the full ROP/L2 backend and its associated memory controllers are fully enabled. Clockspeeds are also unchanged. On the GPU this means we’re still looking at 1506MHz base and 1709MHz boost. Meanwhile on the memory it’s still 8Gbps GDDR5 on a 192-bit memory bus, only now there’s only half as much total memory. Consequently the total performance hit to the GTX 1060 3GB as compared to the original GTX 1060 6GB will be a combination of the reduced memory capacity and the loss of 10% of the shading/texturing/geometry resources. Finally, on the TDP side, TDP hasn’t been adjusted even with the loss of 1 SM. This means TDP remains at 120W. I suspect part of this comes down to the fact that NVIDIA isn’t doing additional power binning (ala GTX 1070), along with the fact that disabling a single SM is going to have a limited impact on power consumption. All told, this is a typical case of NVIDIA creating a new SKU for salvaged GPUs. Since the full-fledged GTX 1060 uses an equally full-fledged GP106, this gives salvaged GP106s a card to use them in. The concern I have is that, frankly, I thought NVIDIA was done with these shenanigans, as they haven’t had multiple GPU configurations selling under a single retail GTX model number for a number of years now. To the company’s credit, they are drawing a clear line between the 3GB and 6GB cards – there will not be any 6GB cards with a cut-down GPU, nor any 3GB cards with the full GPU – but the memory configuration now means something about how the GPU is configured, which is unintuitive at best (ed: and this doesn’t give AMD a free pass on the RX 480 either). Ultimately I’m not sure that anything good can come from this, and that the part should have been GTX 1055 or such. Meanwhile the performance impact, according to NVIDIA, should be about 5%. Keeping in mind that GTX 1060 3GB is losing 10% of its shader/texture/geometry capacity and none of its ROP or rasterization capacity, this doesn’t seem unrealistic. Though it’s obviously something we’ll want to test ourselves. As mentioned earlier, this is a hard launch for NVIDIA and its partners. 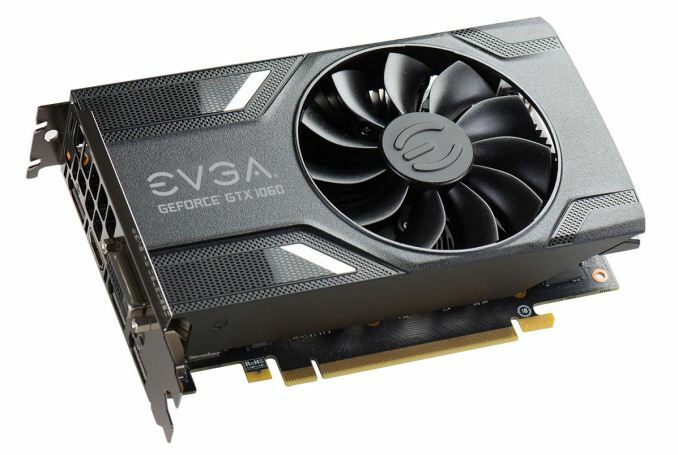 MSI, Gigabyte, EVGA, and others are already listing cards on Newegg, and as of this afternoon they are still in stock, which is better than any previous 10-Series launch. Even the base-bones $199 GTX 1060 3GB cards are in stock, so it’s possible to pick up a card at MSRP. 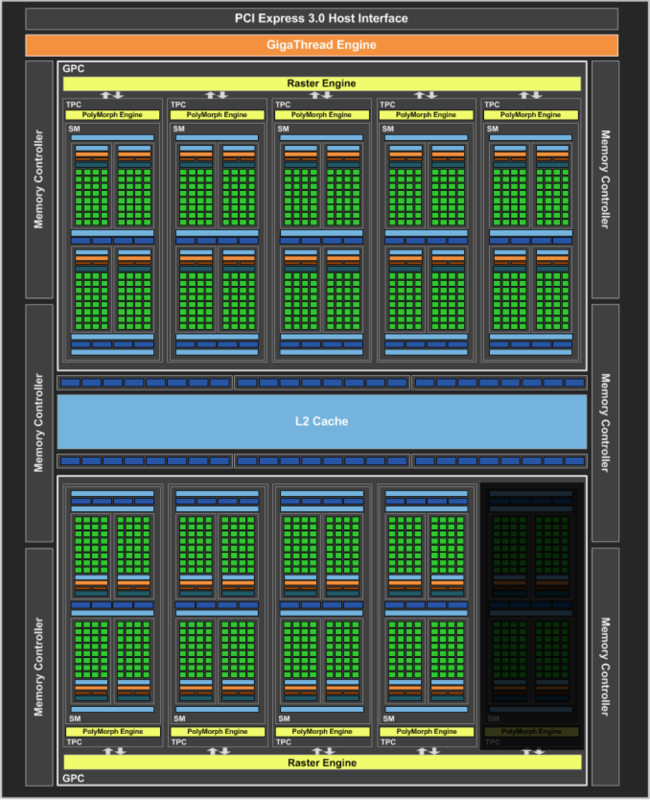 Though the partners also have a number of factory overclocked cards, in case you wish to spend more than $200. Competitively speaking, the GTX 1060 3GB is meant to compete against the $199 4GB Radeon RX480, the cheaper of AMD’s RX 480 lineup. The latter has been in very short supply since its launch, so at this second NVIDIA has a pretty solid grip on the $199 price point at this secnd. At the same time however, I do have some concerns about whether a 3GB card is enough, especially looking at a year or so down the line. The 2GB GTX 960, by comparison, has shown us that buying a low capacity card can be short-sighted, as the 4GB versions have held up better in 2016’s major game releases. But to the credit of NVIDIA and their partners here, they are at least being aggressive on pricing, with the slight downgrade from the 6GB to the 3GB card shaving 20% ($50) off of the MSRP of the card. Finally, on a housekeeping note, NVIDIA has not sampled the 3GB cards to the press, as this is a pure virtual (partner-driven) launch with no reference board or Founders Edition equivalent. So you’ll see reviews over the coming days and weeks as partners directly sample cards instead. There's no false advertising here any more than there is with an RX 480 4GB with lower memory speeds than the 8GB model.